John Lucia, an old friend since Thornton Beach Days and involved in the GRS Project for decades, called excitedly a couple of years ago to say that Stewart had been mentioned in a magazine article. John is a brilliant, hard-working artisan and craftsman who recycles the treasures of the past into exceptional homes for today. He’s done this in Hawaii, and is now doing so in Sacramento, in “The Thirties.” He’s also a restorer of classic cars; John owns one of the best 1950 Ford Woodie Wagons, which he restored himself. Taylor was a professor at Cal Berkeley, in agricultural economics. He had the progressive idea that in order to understand the economics of California agriculture, he’d need to understand the people who did the work in the fields. Since many of those people were Mexican, Taylor decided that he would learn their culture from the inside. He learned Spanish, spent much time with the workers, and even recorded many of their ballads. Dorothea Lange was one of the photographers documenting the plight of desperate migrants from the Midwest and the south who were trying to find some work here to feed their families. Hired by the Farm Security Administration she traveled extensively, photographing the migrants. .After she took the photos Lange drove to her Berkeley cottage, developed and printed the photo. She told the editor of a local paper about the camp, and the hunger there. The editor published an article which included the photograph. The government rushed emergency food to the hungry families. 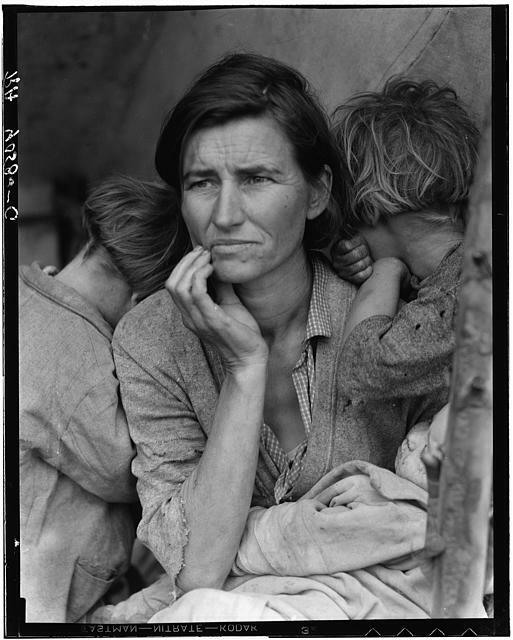 The photo, and one or two others by Lange, have come to represent the Depression. She later documented the vicious internment of American citizens who happened to have Japanese ancestry, and similar abuses of American values and ideals. Stewart’s friendship with Taylor and Lange is another of the extraordinary web of connections he had with the great minds of his time. But did he write Storm in the Taylor-Lange bungalow? When I asked Stewart’s descendants – son Jack and daughter Jill – about this story, they discounted it. Jill was especially emphatic, saying that her father did not work that way. There may be a kernel of truth to the story – maybe he spent a weekend there doing some work on the book, for example. But it is almost certain that he did not write the book there. It is an interesting story, though, and I am thankful to John Lucia for starting me off on this research trail. There’s an interesting footnote to this story. The bean picker’s camp was located on the Nipomo Mesa – about ten miles from where I’m writing this. And the place where Dorothea Lange decided to turn around was likely with a mile or two of here, in Arroyo Grande. As the years began to pile up, and George R. Stewart felt his age, he began to think back over his life. Had he lived a good life? By examining six men throughout western history who seemed to share the same qualities and the same sense of accomplishment, Stewart found a definition of what comprised a (not “the”) good life: Joab of the Old Testament, William the Marshall, Heinrich Schleiman, John Bidwell of California, Architect Francisco Eduardo Tresguerras of Mexico, and Prince Henry the Navigator, (He apologized, with explanation, for not including any women). The men where selected from those he’d encountered in his scholarly work over the decades. In most cases, they were not widely known. (I suspect he profiled some because he wanted to let readers know about their lives – how else would the average reader in this country learn about the brilliant Francisco Eduardo Tresguerras?) The subjects ranged from the ancient – Joab of the Old Testament – to the fairly recent – John Bidwell of Chico, California. In their lives, he discovered six qualities of character common to all. Each had clear goals, and stayed committed to those goals until they were accomplished. Heinrich Schleimann, for example, continued his search for the lost city of Troy during years of suffering the humiliation of failure and criticism from professional archaeologists and finally found the city. Each accepted responsibility for his acts. Each had great courage, sometimes in battle, sometimes, like Schliemann, in the pursuit of a goal. And, at the end of their lives, each man felt fulfilled in things personal and professional, and had an integration of his spirit with his physical, material life. The book is an interesting set of biographies of remarkable men, many of whom most readers had only met before in passing. Discovering a pattern of character that helped him, and the reader, to understand why they are worth studying, added a layer of meaning to the book. 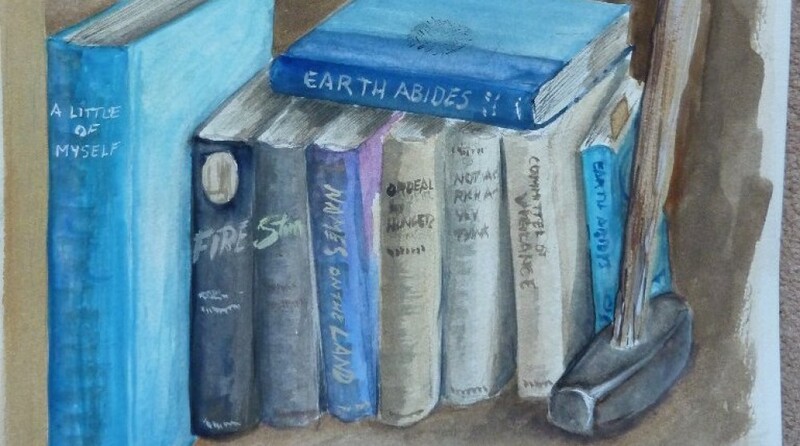 It may lack the power of Earth Abides. But the book is none-the-less an important part of his body of work. In a day when reading was still the primary method of informal education, the book introduced the lives of important but largely unknown historical figures to Stewart’s large reading audience. It also found in those lives a set of standards by which all lives can be judged – thus using them as a microcosm, in the best Stewart manner. Perhaps most important, it teaches us about George R. Stewart – what sort of man was he? What values did he hold highest? How did his life measure against the six in the book? He didn’t answer that last question in the book. But he once told his son Jack, “That’s a book an old man writes.” In other words, in studying those lives he was giving us a key to his, as it drew close to the end. But he wasn’t through with life yet. He was already hard at work on another game-changing book, which would win a major prize and help his readers understand the nuts-and-bolts of living properly in the Whole Earth ecosystem that he had first visualized and shared, in the 1930s.